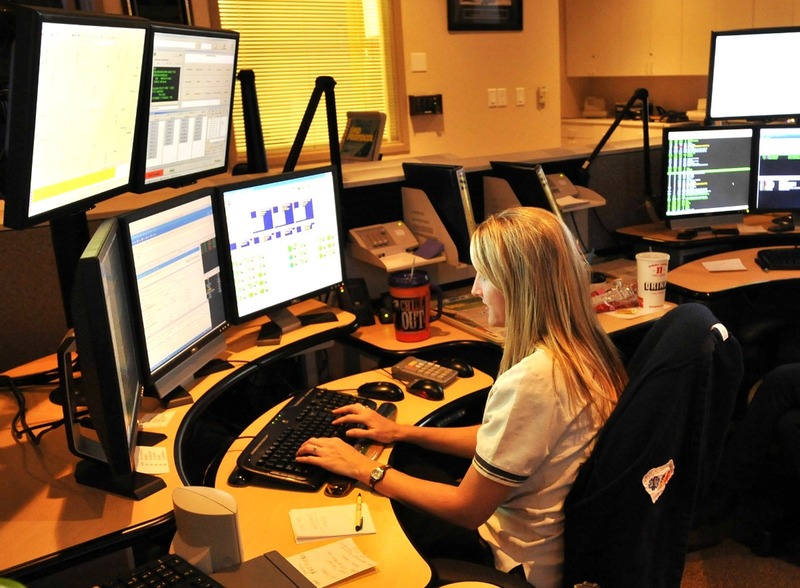 ST. GEORGE — While telephone failures that affect 911 are not everyday occurrences, they do represent a serious potential threat to community safety. Being prepared to control what happens when the emergency number goes down can help. An estimated 240 million calls are made to 911 in the U.S. each year, and in many areas more than 70 percent of those calls are made from wireless devices, according to the National Emergency Number Association. On March 8 an outage affecting residents in parts of St. George, LaVerkin and surrounding areas was reportedly caused by a severed fiber optic cable, Sue Lee, at Century Link’s Control Center, said. Callers seeking 911 help got a busy signal instead. The outage also affected the St. George Communications Center, which receives and dispatches emergency calls for Washington County. The failure affected calls to 911 but did not affect the ability of the communications center staff to answer all other numbers, Justin Grenier, St. George Communications Center assistant manager, said Wednesday. Along with the severed fiber optic cable reported by Century Link, another communication failure that went far beyond Washington County and even Utah occurred that same evening. Various law enforcement and government agencies across the country reported that 911 calls were not going through and only later learned that the communications failure was reportedly with the AT&T wireless network. The company issued a tweet acknowledging the problem but only after countless police departments issued alerts on social media to alert residents. According to the company, service was restored later that same night. The carrier provided no explanation of what happened nor any details about how many customers and which states were affected by the failure. The full impact of the situation came to light as multiple agencies reported the system failure. At that point, Grenier said, it became pretty clear that the outage wasn’t confined to Washington County. After the outage and as a reminder to residents, the St. George Police Department released the following information to keep on hand in the event calls to 911 are interrupted. 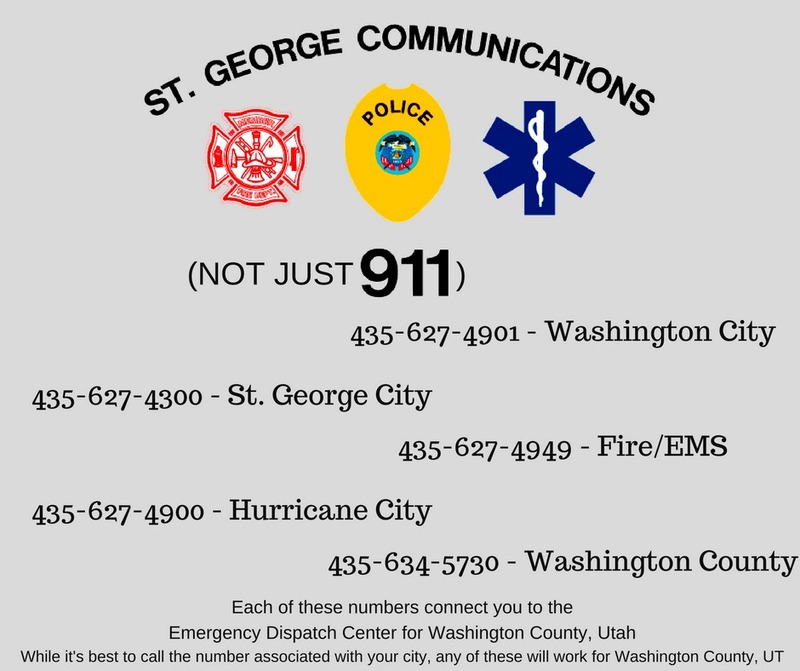 All of the numbers listed are answered in a central location by dispatchers who are capable of paging the emergency personnel assigned to the appropriate area regardless of which number is called, St. George Police Public Information Officer Lona Trombley said. Nationally, the Federal Communications Commission has launched an investigation into the March 8 outage that kept AT&T customers from being able to contact 911 in locations around the country. Police in Dallas are also investigating the death of a 6-month-old after his mother blamed cell carrier T-Mobile for “ghost calls” made by the phone her babysitter was using to get emergency help for the unconscious baby. The babysitter said she dialed 911 multiple times without getting an answer while the 911 operators said they returned each of the babysitter’s calls but could not reach her, Dallas officials said, according to a report by CNN Thursday. Since November 2016, some T-Mobile customers who have dialed 911 in the Dallas area have inadvertently been making additional calls to the emergency number, rather than a single call. The term “ghost calls” refers to the additional generated calls which clogged 911 services. “City officials confirmed the babysitter used a T-Mobile device. They said no other cell phone carriers seemed to be affected by the “ghost calls” issue,” the CNN report states. T-Mobile is reportedly working with Dallas officials to resolve the 911 issue. Both the public and those working in public safety arenas have come to rely on 911 for more than 40 years. Over one-quarter of a million 911 calls are placed in the United States every day, reaching nearly 6,000 primary and secondary communications centers in more than 3,100 counties across the U.S., according to the National Emergency Number Association. FCC News- FCC Chairman Announces Investigation into 911 Outage. Updated March 18: Photo of the St. George Communications Center provided.